Fewer than five months ago, Seattle shut down its struggling municipal bikeshare system that had been propped up with taxpayer dollars. But in the last month, three innovative bikeshare companies have launched in the city, quickly eclipsing the past failure. There are more bikes available, and more rides being taken. The price of a single ride — $1 — isn’t only cheaper — it’s the lowest price of any bikeshare system in a major U.S. city. The city government will be receiving substantially more data on these bike trips, to better plan local transportation. 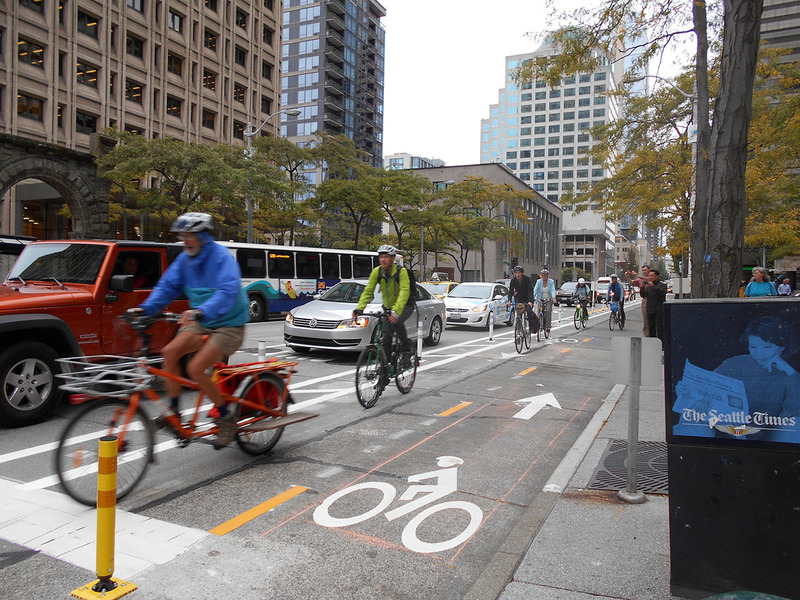 By year’s end, Seattle is on pace to have the U.S.’s largest bikeshare network. And all of this happened without a penny of taxpayer funding. I wonder if Seattle has bike lanes where they are actually most needed, like on overpasses, and whether the ones they have do not all begin and end at daunting multi lane intersections. That’s part of what their doing with the bike share, collecting data to determine where to focus expanding bicycle infrastructure. How does data about where people happen to ride tell us more than we already know about where people do not ride, and who is not riding, which we already know is where improvement is most needed? But yes, it is all about the data. Does anyone think “funding from Silicon Valley” is doing this because renting bikes for a dollar is where the money is? Andrew I, Seattle eventually gets around to building protected bike lanes (with paint and plastic posts) in a few spot locations for a few blocks but has them end abruptly when it gets to a difficult location. Its kind of the worst of all worlds, they expend the political capital on bike lanes and rightsizing streets (and media bikelash) but then are of little use to occasional timid riders since they also require biking through problemmatic areas and are too complex for the fearless spandex warriors who rather just fight the cars in the standard traffic lanes.